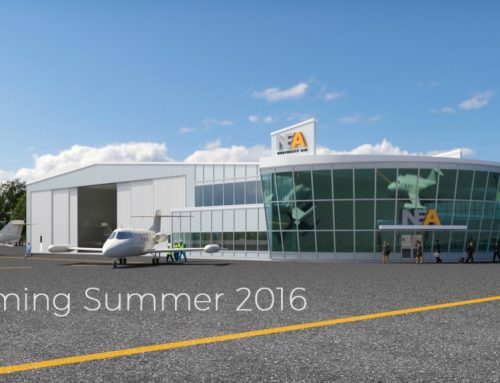 This spring has seen a great deal of progress on the new Northeast Air General Aviation terminal. After starting with little more than a bare patch of land and an old building, we’ve seen the landscape transform before our very eyes (you can get just a small taste of the transformation in the video below; more to come later). 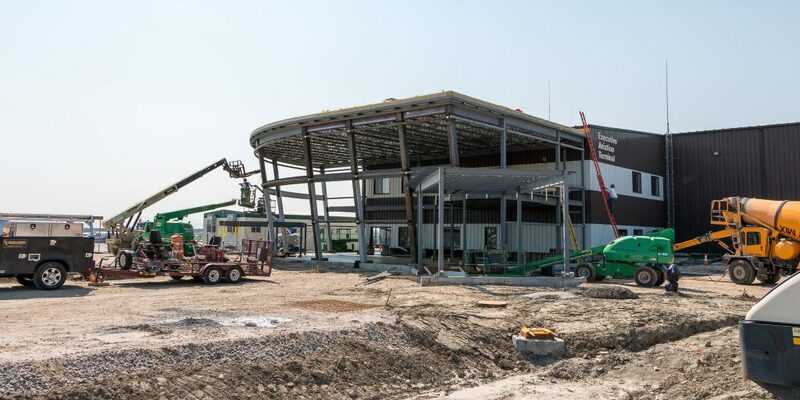 Since our last update, the new terminal has taken shape, and is starting to look like it’s final form. 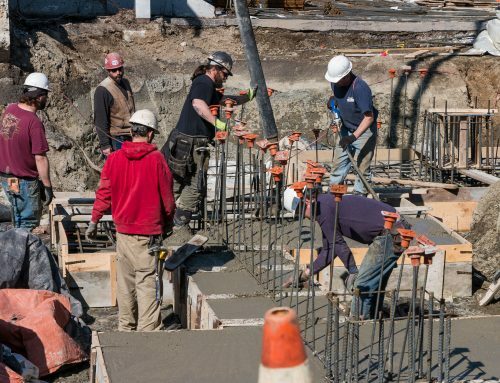 In early May, workers poured the concrete flooring that will serve as the foundation for the building’s interior. 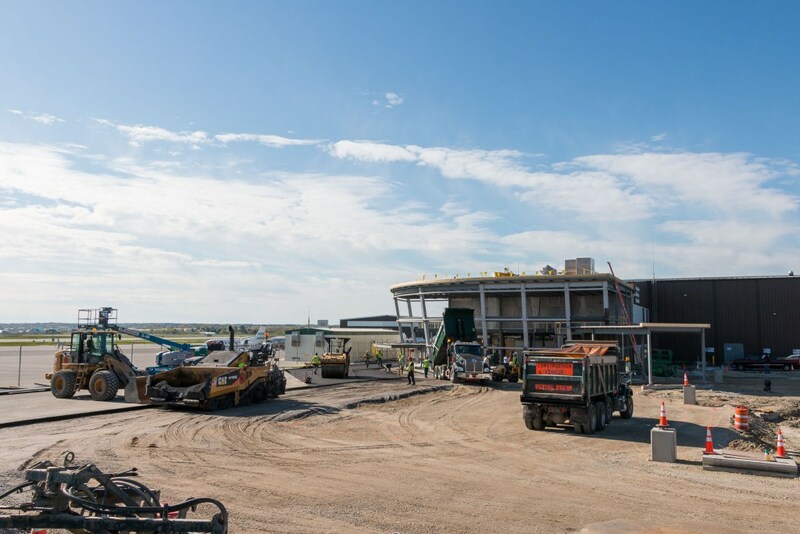 When this was completed, they were able to move inside and begin demolition on the interior portions of the current terminal building. By the end of May, workers were installing the framing for the walls, essentially laying out the footprint of many of the new rooms. 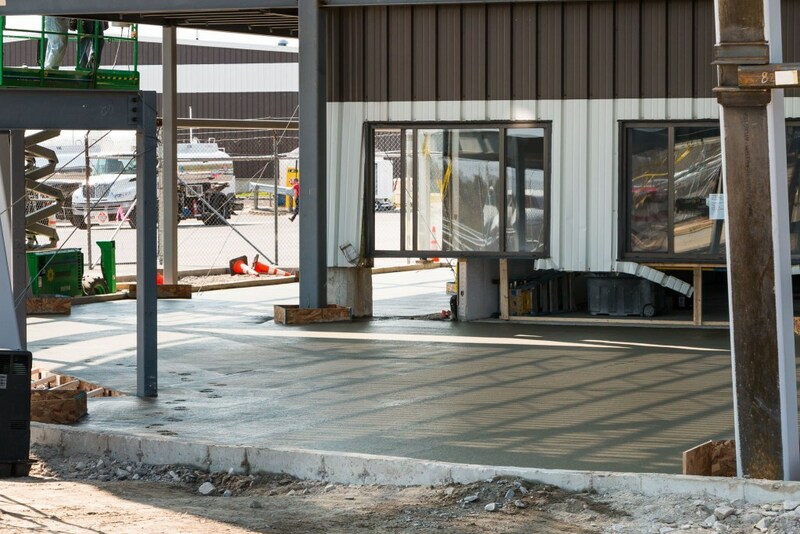 Meanwhile, in the sunny weather of early June, construction hit another milestone: the first layer of pavement was put down for a newly expanded parking lot, while our older upper parking lot was resurfaced and striped to accommodate around 80 vehicles. The brand new parking lot is expected to accommodate an additional 40 vehicles. One of the more fascinating pieces of machinery was this curb and gutter slipform paver, which laid down concrete curbing. It’s a quick, efficient way to install intricate curbs in a parking lot. 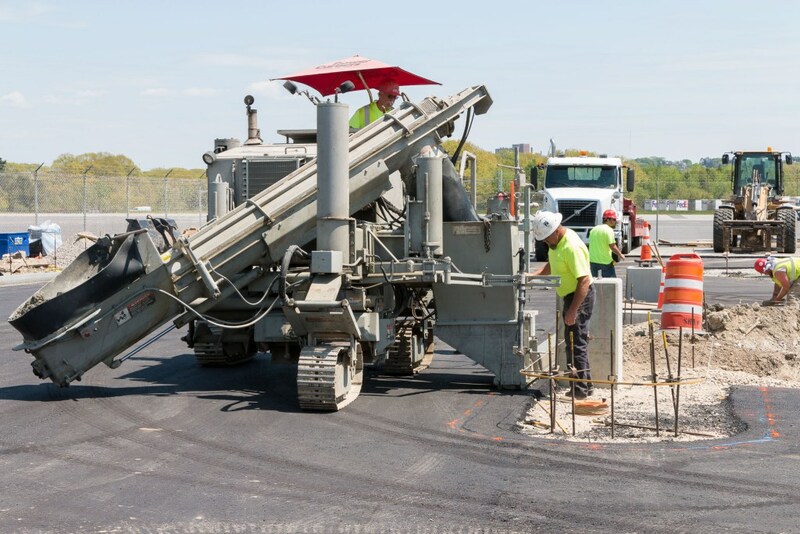 Workers guided the machine along a preset path, tracing the edges of the lot and laying down a solid curb line. The process took only a few hours. 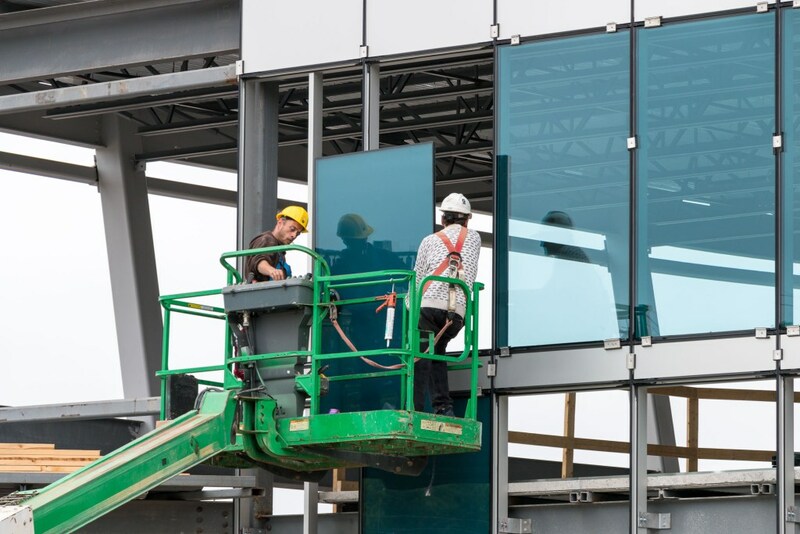 By mid-June, workers were installing the blue-green tinted exterior windows. 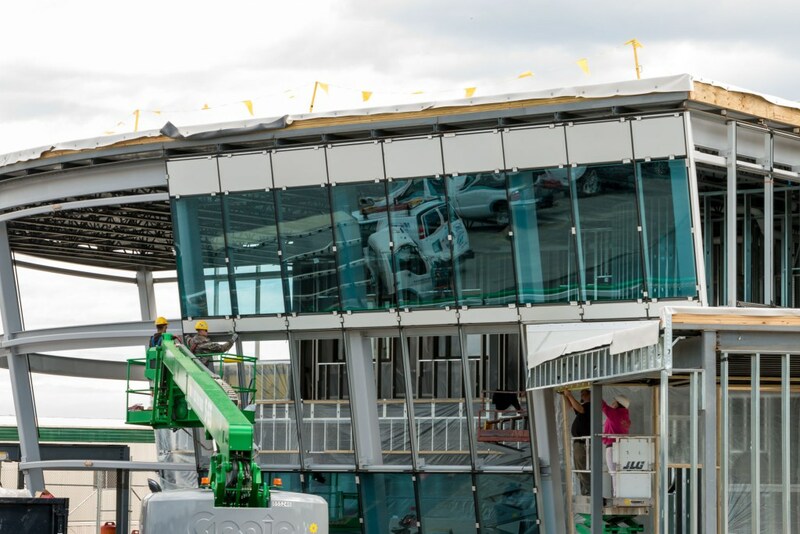 These windows are efficient, environmentally-friendly panes that will help keep the large lobby area and office spaces cool in the summer and warm in the winter, while still providing a stunning view onto the Northeast Air ramp. 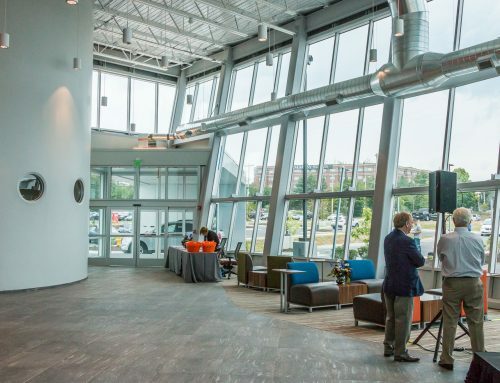 Next time on the blog: Inside the new Northeast Air GA Terminal! 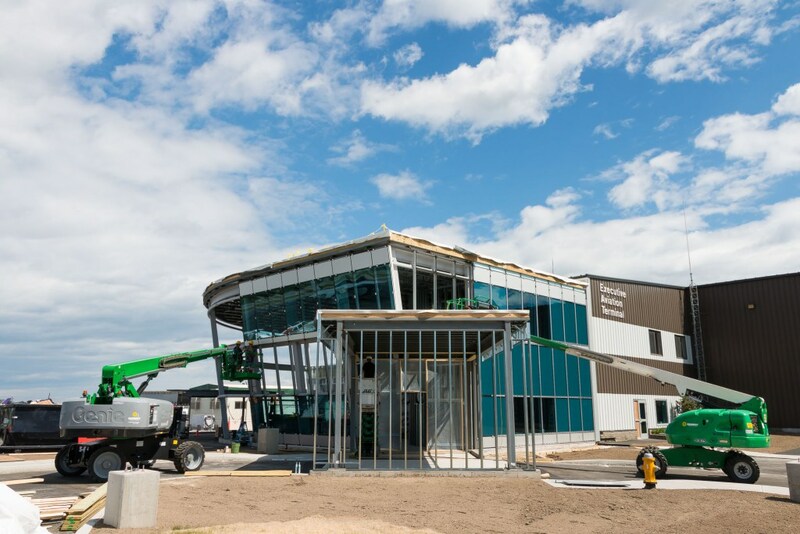 We’ll take a tour of the new office spaces, fitness center, pilot lounge, and the stunning lobby as it all takes shape. We’ll also take a look at the new landscaping that will welcome visitors to our facility. Stay tuned.